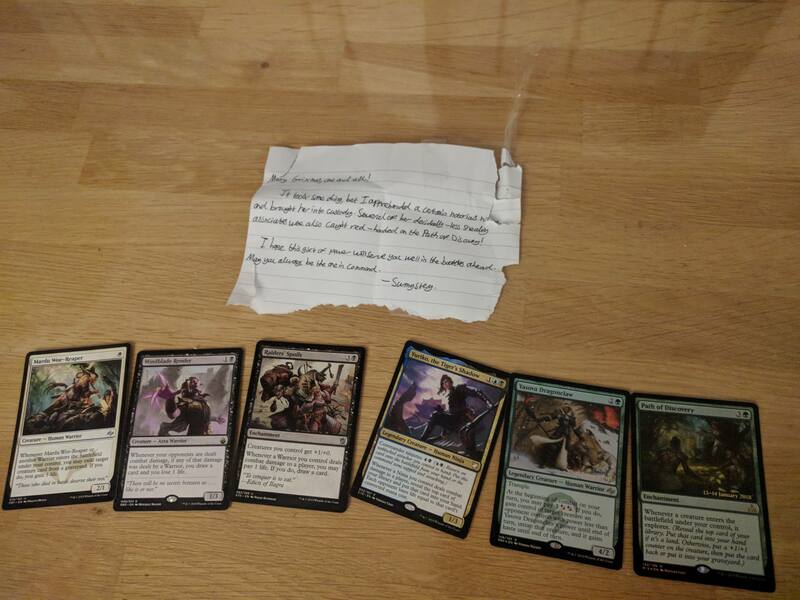 I am running a seasonal power exchange, where people will get a random Magic: the Gathering card from their secret Elder Dragon (I love when they give up their power so easily). If you are interested in receiving (and giving, though it is the receiving season) a card then you must PM me. I also require a PM to be sent within 48hrs when a package is sent or received. Tracking is not required but is highly encouraged (especially since, for US residents, flat rate Priority mail comes with free tracking and $50 of free insurance). If used, the tracking information should be in the "Package sent" PM as well. For international packages, you must submit the Customs label number (usually in the format "AA########AA" where the final two letters are the two letter code for the country of origin. Many int'l customs numbers that also have a barcode will function as tracking as well (for US senders, you must use the large white Customs form (2976-A) for the customs number to function as a tracking number in participating countries. It will always track until departing the US). * Failure to PM your contact information by the deadline will preclude inclusion in this season's event. * Failure to Communicate and/or follow directions (e.g. PM package information when you send or receive) will prevent participation in next year's program. You have been warned. * Failure to post receipt - When you receive your package, after sending me the confirmation PM, you should post to the thread how awesome (or aweful) your package was. Include pictures. 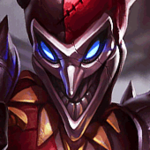 These posts are what enable people to vote for the season ending gifts (if you would like to win, and who doesn't, then your victim will have needed a compelling post about how great you are. Show the person sending to you the same courtesy. If you can't host your pictures, we can coordinate for you to email them to me or my slave and we will host them and send you the link to add to your receive post. Failure to include pictures won't get you a one year ban (it just makes you a bad forumite) but failure to post to the thread that you have received will. 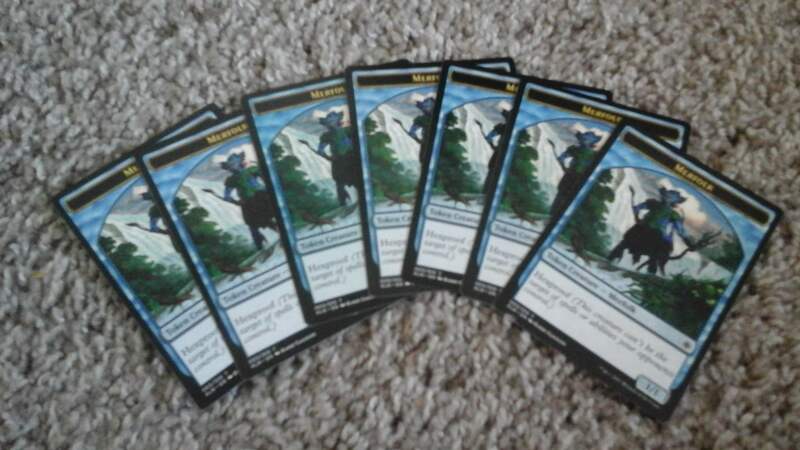 This is an EDH forum so EDH staples are probably the best type of card to send. 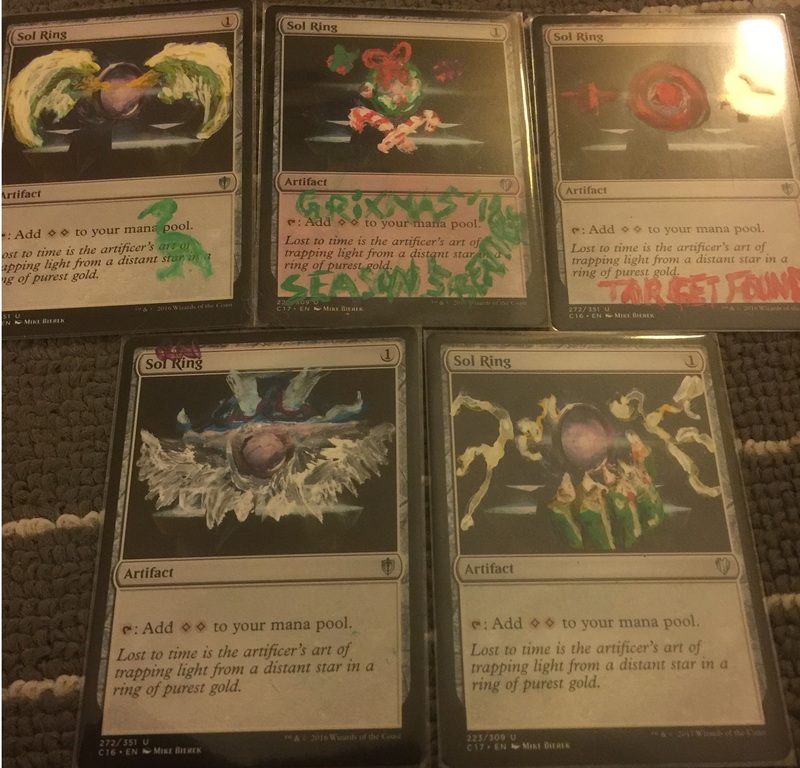 Also altered or signed versions of cards help make your gift unique. Changes to what you are wishing for should be made by updating the original request post (since that will be linked to your name on the next post). Also, PM me and/or post in the thread that you have updated your request information, especially if changes are made after your information is updated to Post 2 below. It is highly recommended that you take a picture of your package contents before sending. This allows redress should a parcel be lost in the mail (you need contents lists and photos for them to look for the package, at least for US Mail) and it also allows me to request contents pictures should the recipient be unable to post pictures upon receipt of the package. Participation requires that you supply an email address. Email addresses are required for Donations SASE use and/or Paypal donations. The point is that I need some way other than Forum PM to contact you should plans drastically change with minimal notice. This is not shared at large, only I (and my Slave, if any) will have access, and only for emergency contact. If you will be away from the registration address provided for greater than 48 hours between 1 Dec 2018 and 15 Jan 2019, please provide that information. Reasons may include (but are not limited to) Vacation, Holiday Travel, Business Travel, Moving, and being too lazy to check your mail regularly. Otherwise, please put N/A in the registration if there is no planned "away time;" and, should that change, notify me as soon as possible so arrangements can be made regarding delivery. If your participation is limited by region, include what region (Country(ies), Continent(s), Region(s)) to which you are willing to send. If you have no problems victimizing anyone, put N/A or Global. If I cannot pair somebody with a regional limitation, I will PM them back and we can discuss options. Golden Rule: I can work with you on most circumstances, but the unforgivable offenses are failure to communicate and failure to follow instructions. -- For those who wish to donate but shipping is prohibitive, I will send a SASE (or equivilent) for you to send the donation. PM for details. - For those that prefer monetary donations, PM for my Paypal or other options. This will mostly go towards SASE coverage for card donations and shipping of prizes. PM for address information before sending a donation. Cards received will first be used to cover any packages that are lost to the mail. The goal is to have a bank of cards before any packages are lost, so there is no waiting time for donations to replace lost packages. All the remaining donations will be used for the season closing vote on most seasonal/appropriate gift. PM if you have any questions, or ask in the thread. You didn't really expect me to wear white, did you? Last edited by St. Nic Bolas on 2019-Jan-12 10:06 pm, edited 3 times in total. Alters: Any Grixmas themed alters would be cool. If you want to try something more ambitious, I have a bad habit of making tribal decks where the general doesn't match the tribe... so if you could alter any of these generals to go with the tribe, that would be really cool. 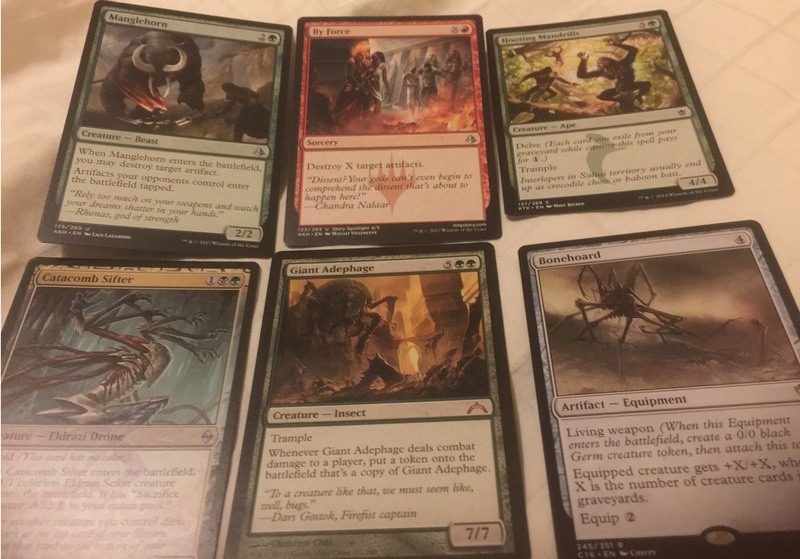 I am looking for any non-red intro deck planeswalkers to build an Atraxa Superfriends C-Team. 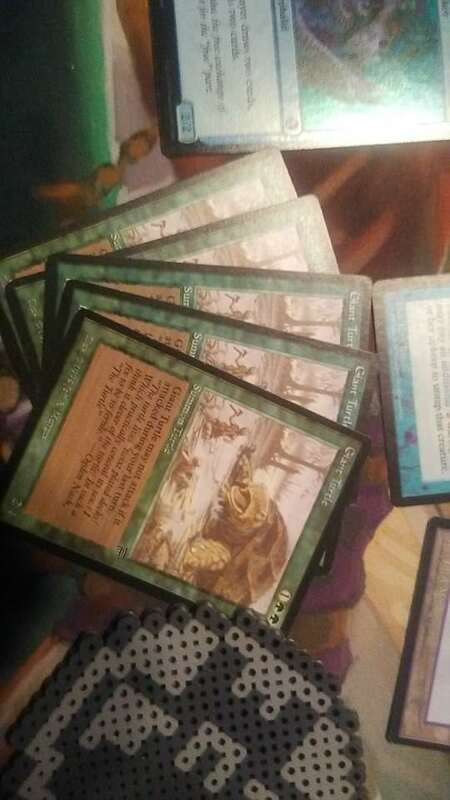 Any of the intro deck rares that search for their corresponding walker are also appreciated. If you have any other cards you think would be fun for the deck that would be awesome as well. 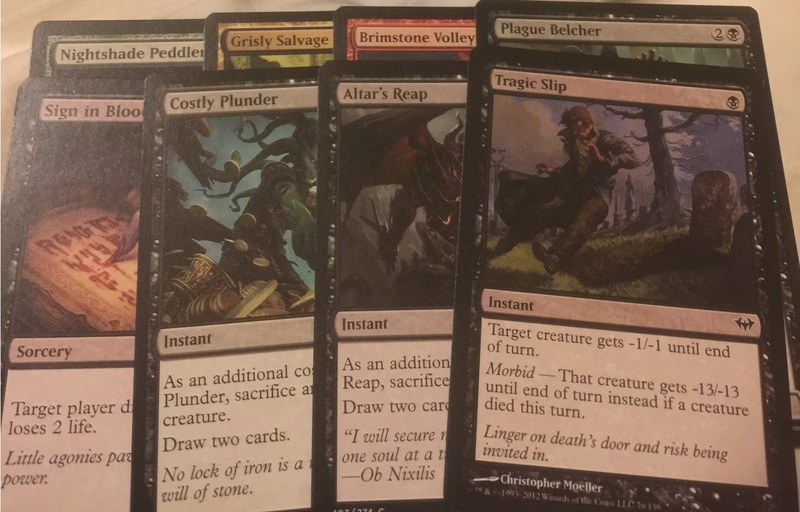 The goal is a low-powered goofy deck that doesn't try to shut down creature strategies. The main defense I plan on using for my planeswalkers being attacked is "Really... but he/she is so bad...". 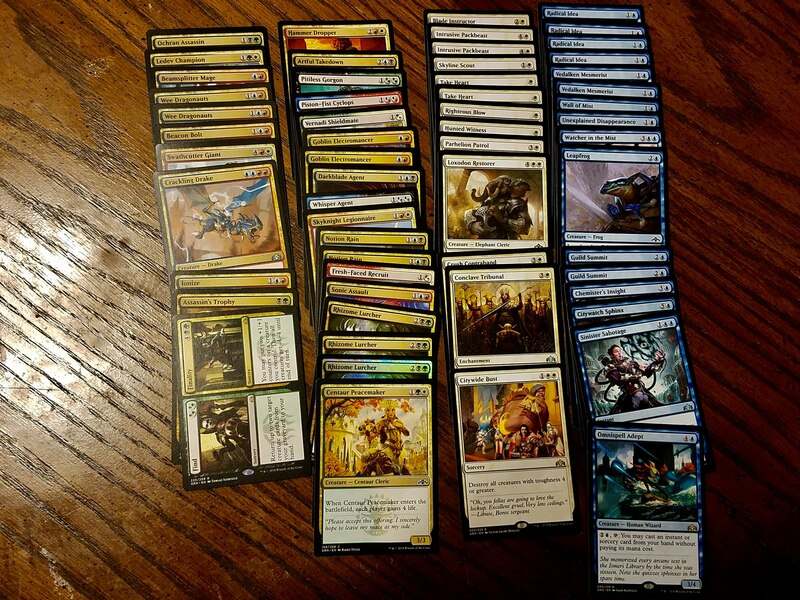 I am looking for any 1/1 creatures to make a The Scarab God 1/1s deck. 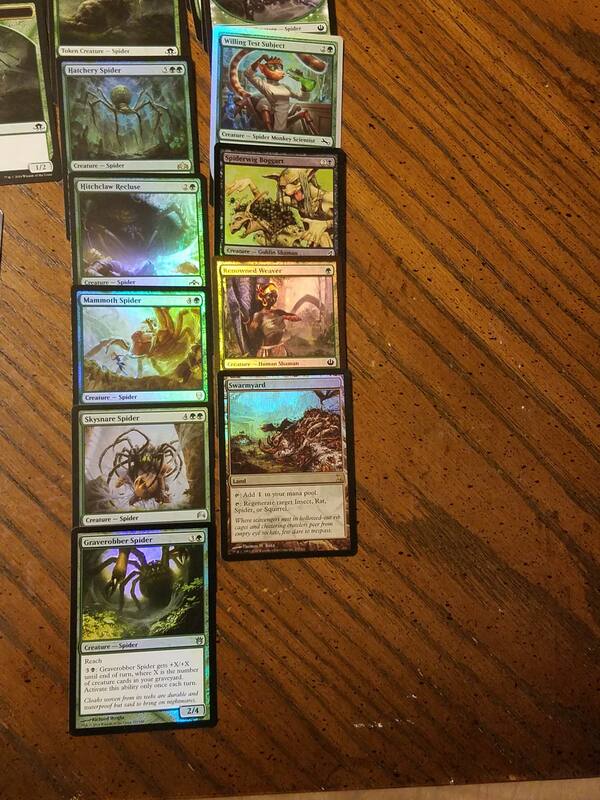 Bonus points if the creatures are significantly better as 4/4s. 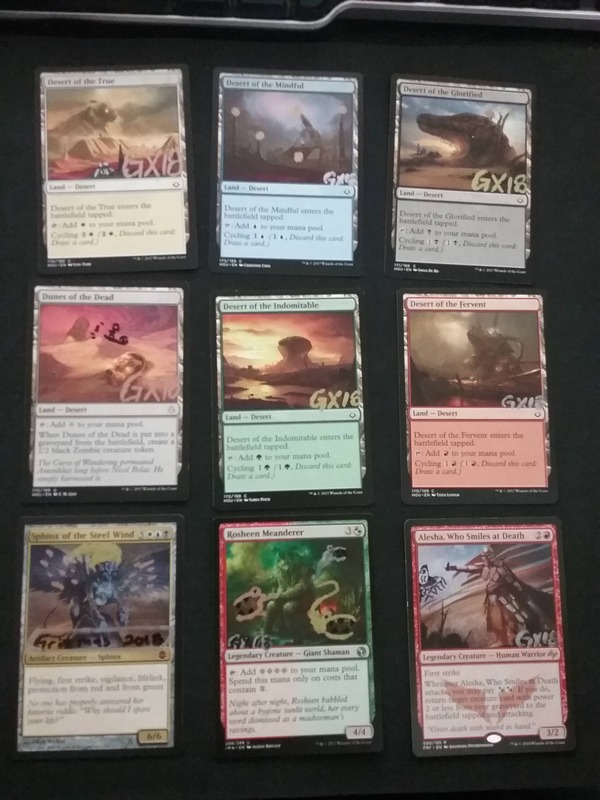 I want all the Amonkhet/Hour of Devastation Deserts that you are willing/able to throw at me, especially the uncommon ones. 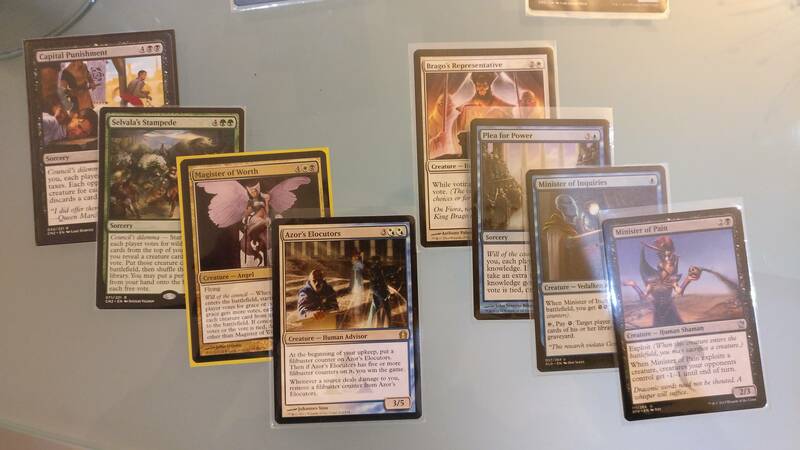 If you happen to open any of the guild kits, I am in love with the guild-stamped basics (especially the dimir ones). 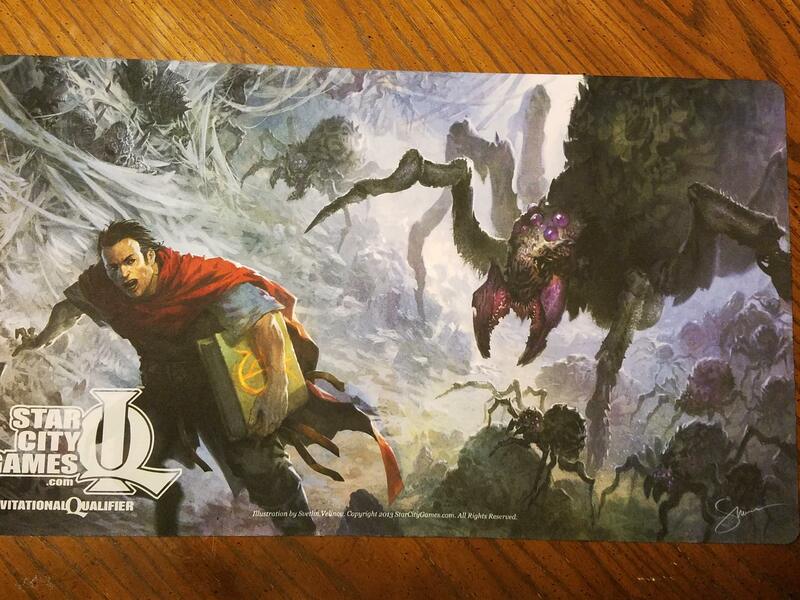 Hexproof, big and tramply, adds +1/+1 counters, etc. Also, a Phyrexian Negator, just a regular one from Destiny if they're not too expensive. Carrier Pigeons, altered to be troll birds would be ideal, but just Carrier Pigeons, as a friend of mine wishes to torment me with them. 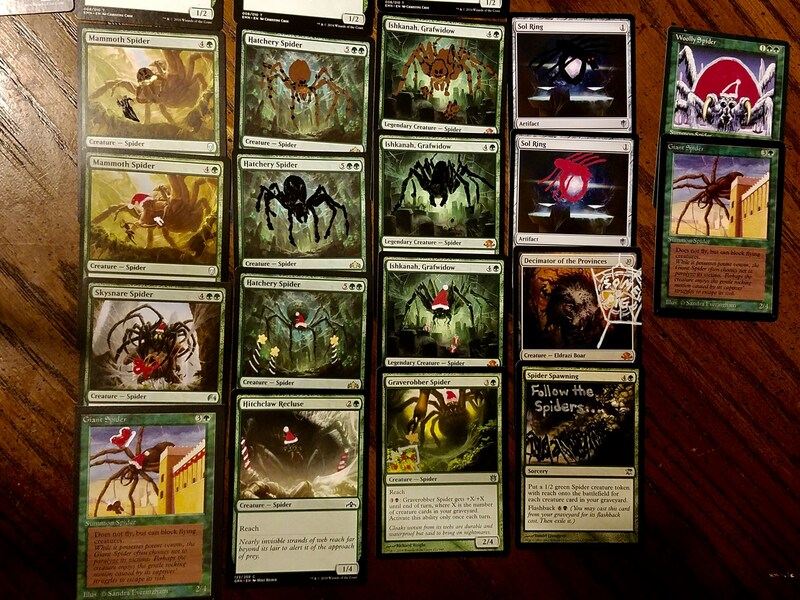 I collect spider cards and would like to get ones I don't have. Altered spiders of book or movie spiders. Obviously I would be happy with anything. Long time no chat... but I have been lurking again for a few months. I sold most of my collection for boring adult reasons in Feb. I did keep a few cards and have since bought the C2018 decks. 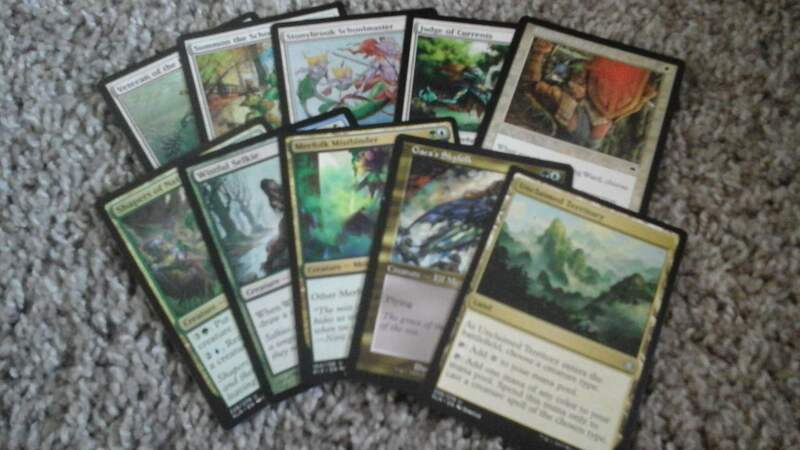 I thought the Bant (G/W/U) enchantress deck would be a lot of fun, but I did not enjoy it at all. 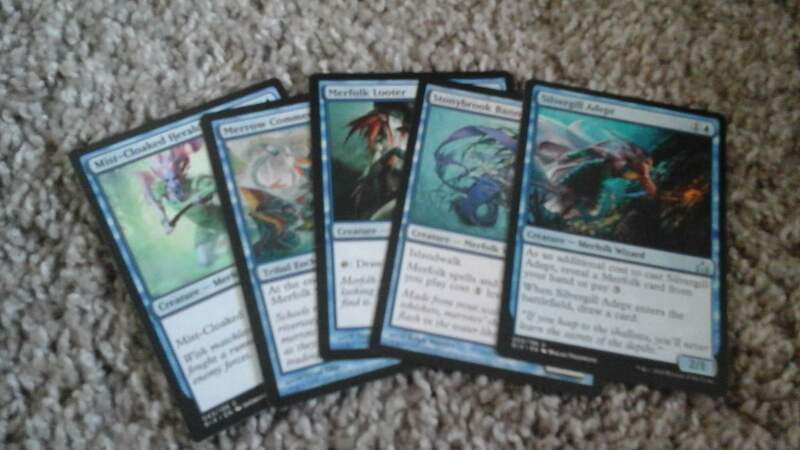 So now I want to do a different Bant deck... but not sure who to use. 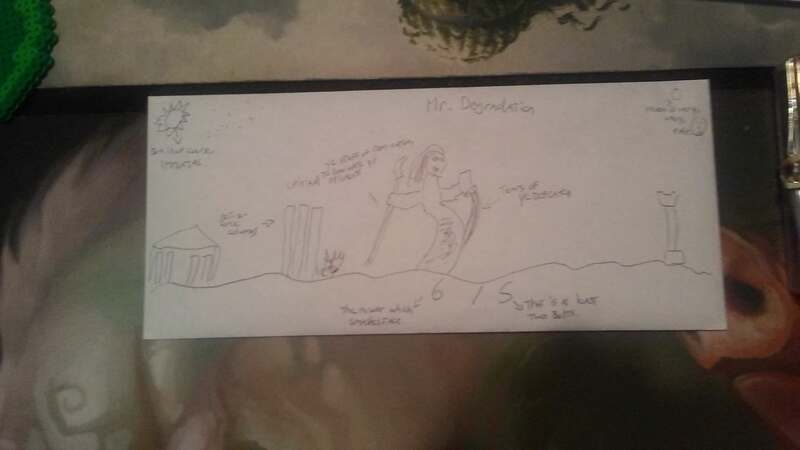 So my request is this, Thrasios, Triton Hero/Ishai, Ojutai Dragonspeaker... I think these two will give me some flexibilty, but I kinda wish they shared a tribe or something to help with a vision. 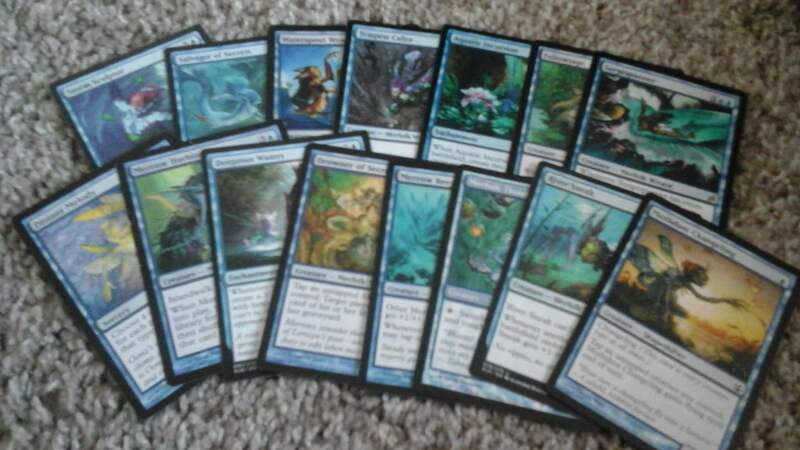 Maybe I just got for a U/g/w merfolk build? If you have a different idea that is okay as well. Just something novel for my Ephara, God of Polis deck (can just be a card that the individual thinks would be a cool addition - doesn't necessarily have to be a Yosei, or an engine piece). Preference to it not being a counterspell or wrath-effect, simply because I have to be keep those slots brutally efficient- and overloading on them makes the build fall apart. 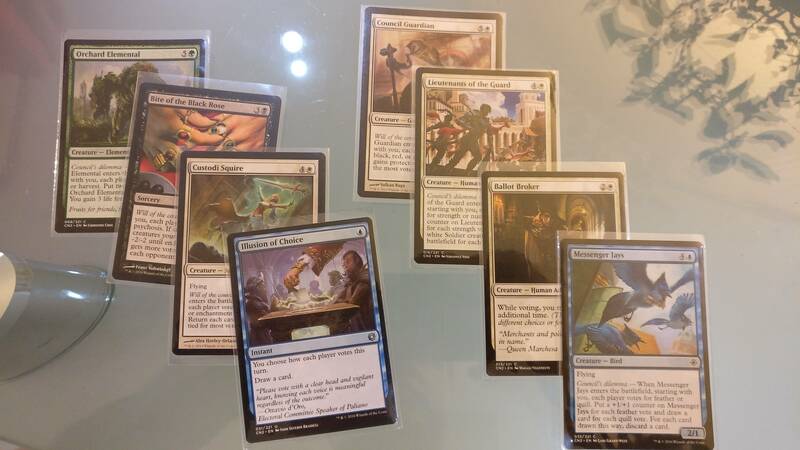 Blue, Black, White blink deck - Alters or foils of good blink targets like dudes who untap lands ! 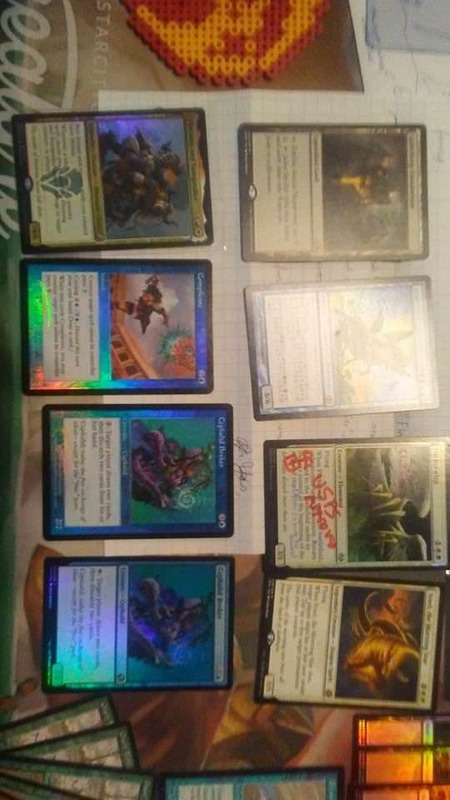 Dragon deck is still humming - I have a few alters but would really enjoy a Zirilan of the Claw alter - Grixmas themed or not. Odric, Master Tactician aggro deck - anything, nothing blinged yet. --Anything to do with Gilgamesh from Fate/Zero. I've long since wanted to build a deck based around his character using Dakkon Blackblade. Probably a control-based strategy theme deck using lots of the legendary artifacts, weapons, and powers Gilgamesh boasts about using. I'll provide a link later to a list of the cards I've amassed for this project so far, but realize there's likely no coherence in place yet. Link to list. 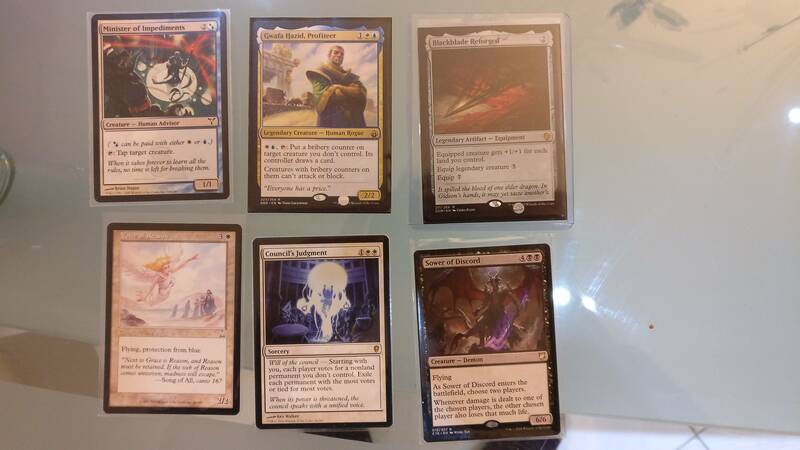 --I want to build a Palladia-Mors, the Ruiner deck, but I don't know what I want it to do. Help? 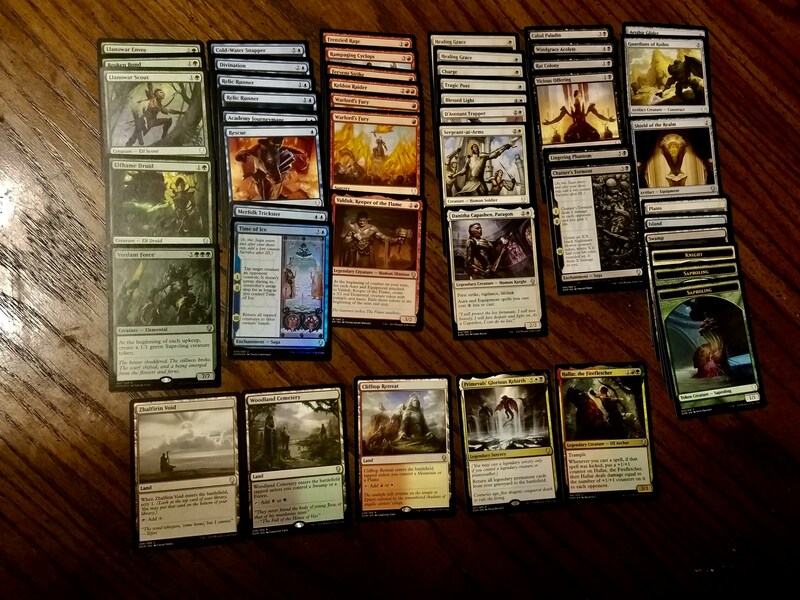 --Boros is one color combination I really enjoy playing, but I know people don't consider it very good. I'd be happy to see your personal take on a Boros commander. --Literally any goofy alter you'd like to surprise me with. 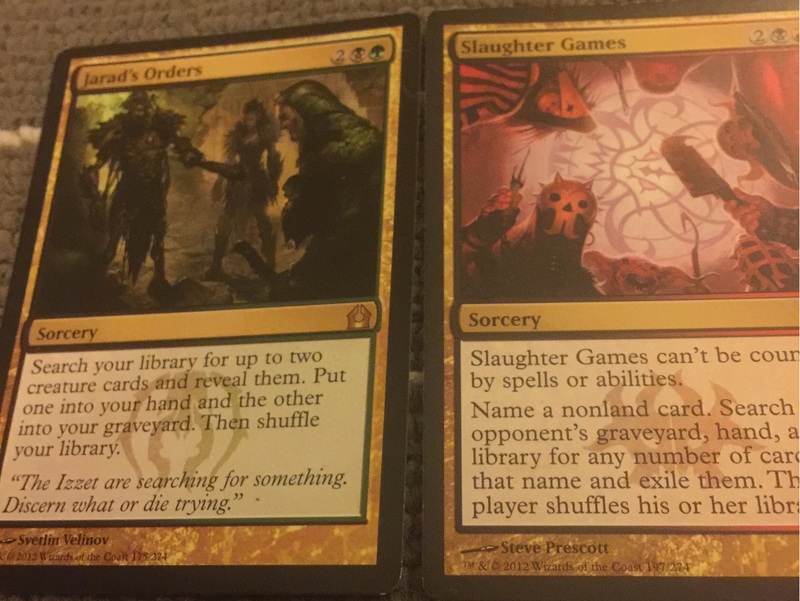 I haven't quite found a place for every alter I've been gifted, but it's something that I work towards when building decks. I'm building Najeela. I have most of the new warriors and the expensive non warrior stuff, but any warrior commonly found in a Najeela list is appreciated if it is altered/marked/personalized. 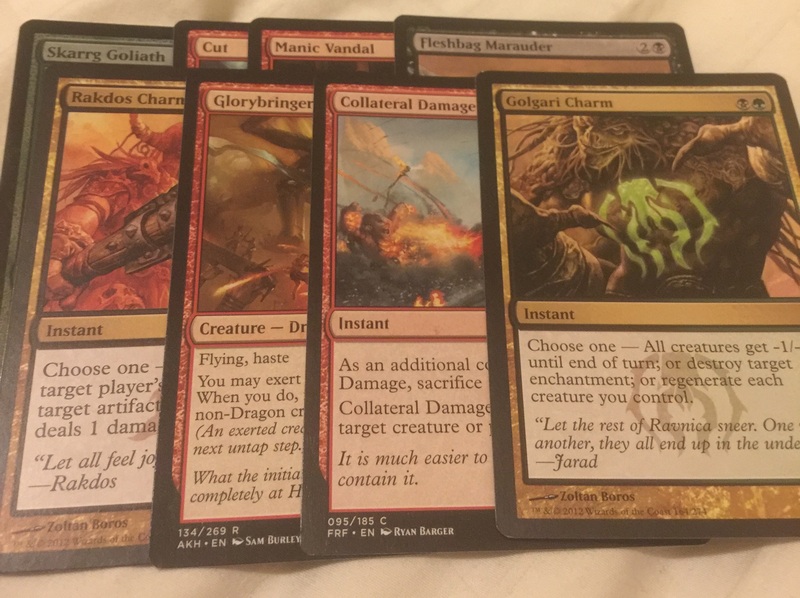 I didn't get to pick up much Battlebond, so neat stuff from that set would be appreciated. Ditto for M19 - I hated M19 limited so much that I stopped drafting for the season. I've had a busy year and totally missed some of these sets, and Alara and Lorwyn/Shadowmoor are sets from well before I started but I think I would've loved them to bits. 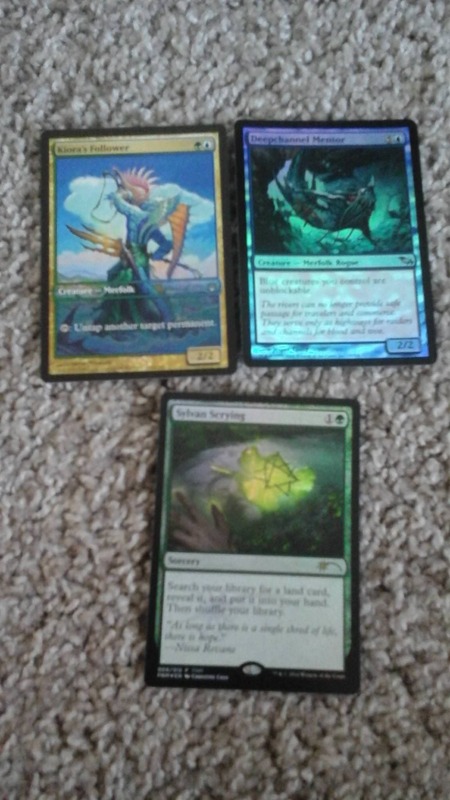 I enjoy big splashy cards, huge creatures at huge costs are awesome. 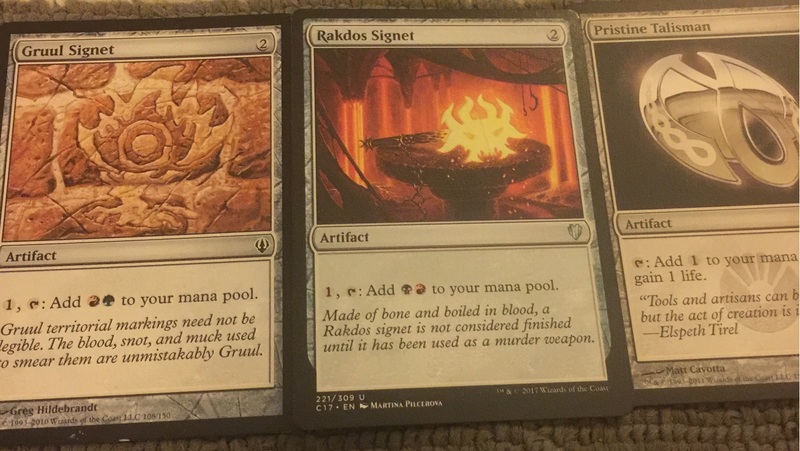 I also enjoy playing with mechanical synergy along a theme, like +1/+1 counters or graveyard or tribal or artifact decks. Interactive multiplayer-focused cards are awesome. Story in cards is cool. 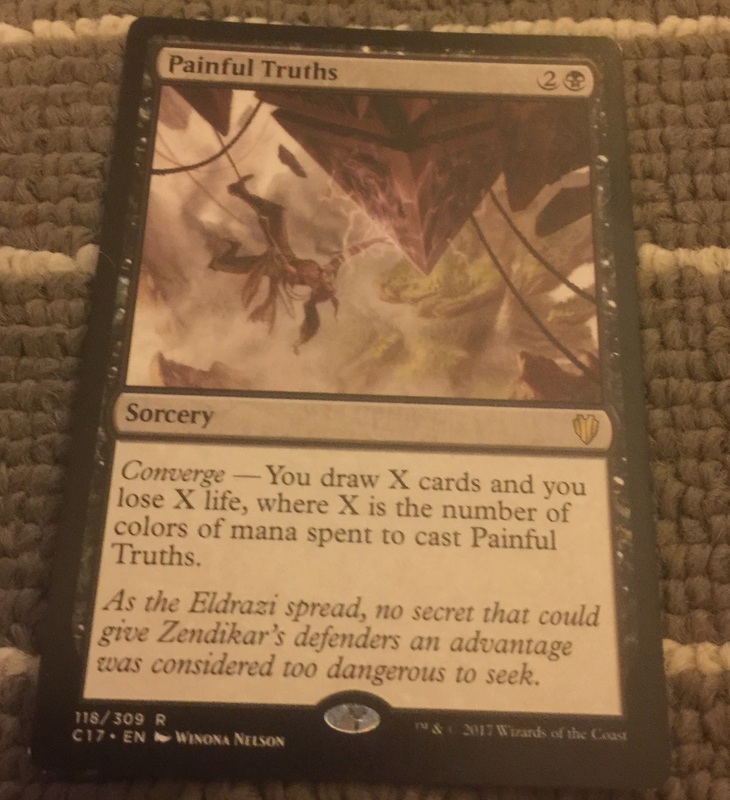 I was struggling with EDH a bit last time I played, and I think it was because I was consistently shying away from higher power levels that would fully unleash my deck plans' potentials (which other people weren't shying away from) and I wasn't playing enough spot removal or enchantment removal to deal with disruptions. 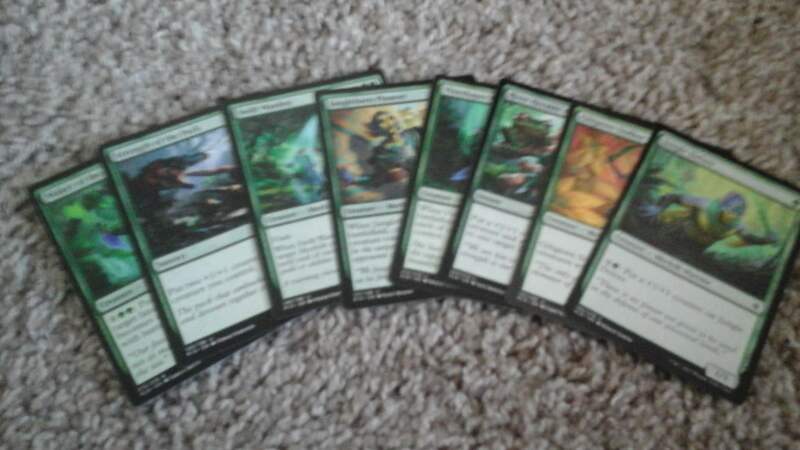 I'm going to get back into brewing some new decks, like some Jund beatdown, returning to my plans to make a nonwhite or nonblack or 5C ur-dragon dragon deck with mainly Sarkhan as a thematic linchpin, Muldrotha or golgari graveyard decks, dimir milling, etc. 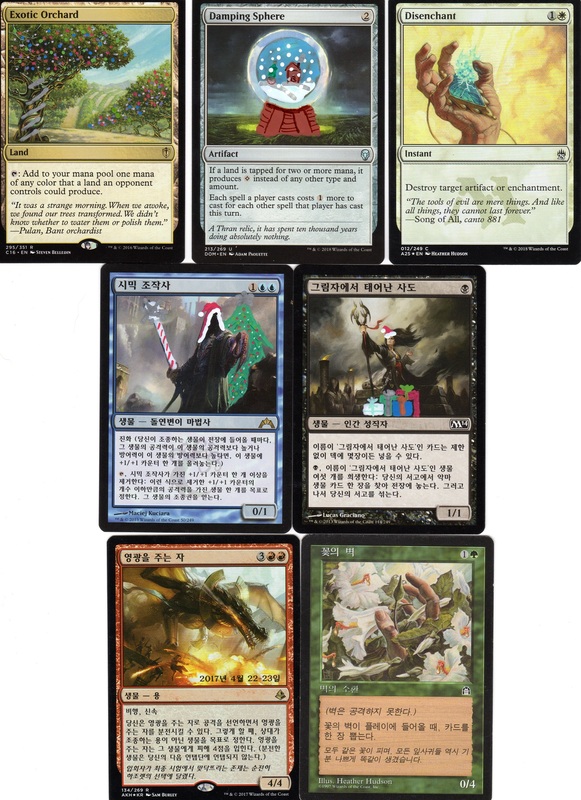 Send me cards you think I'd have fun with or ought to brew with, and/or some of those stand-out cards I already know I'd like to brew with. 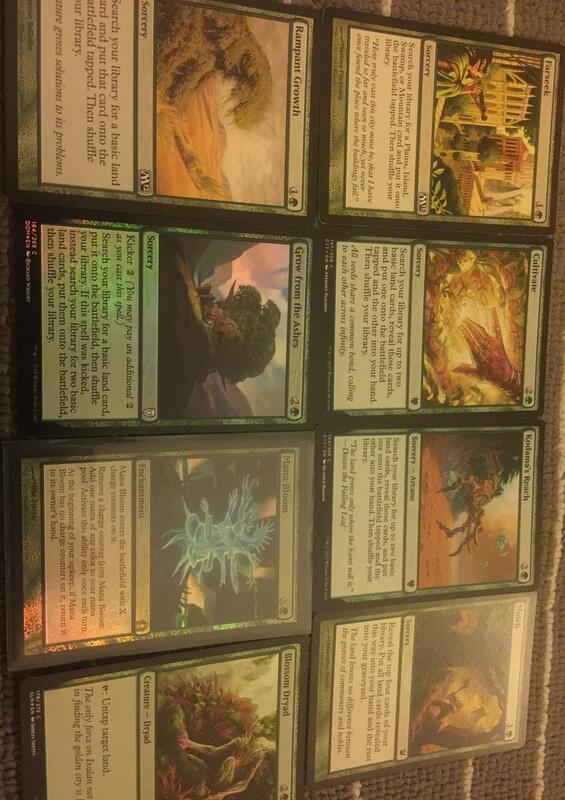 The main thing I would love to acquire is a single copy of Verdant Catacombs for my Sek'Kuar, Deathkeeper deck. If anyone feels like being outrageously generous I love the Expedition art, but I am more than happy with the normal version. This is my "highest priority" want, as it were, but I recognise it won't be cheap to fulfill. The other expensive item I have been trying to track down is a copy of Arcbound Ravager for Daretti. As before, the Masterpiece artwork would be ideal, but I understand that too is outrageously expensive, so either of the normal artworks will do fine. I've had a surprisingly hard time finding a copy of The Immortal Sun and Etali, Primal Storm. 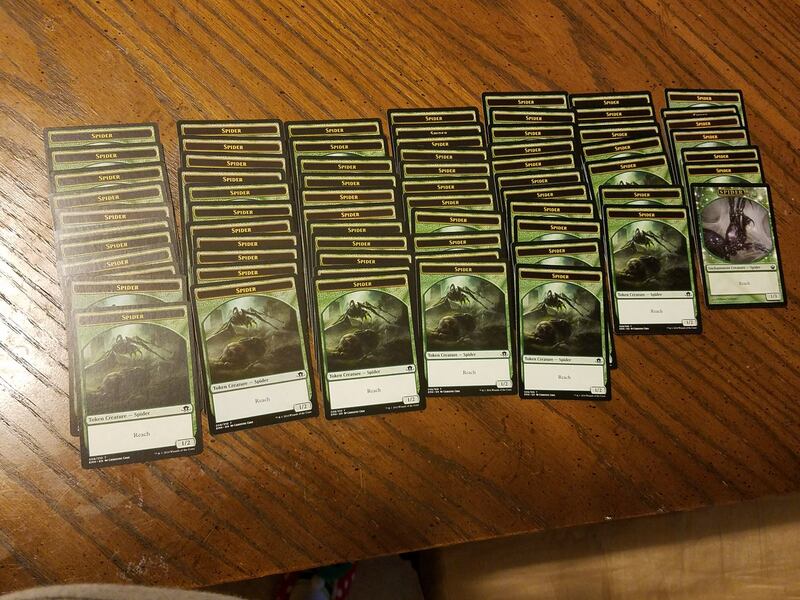 Like a lot of people, I didn't get to open as much Battlebond as I'd like. 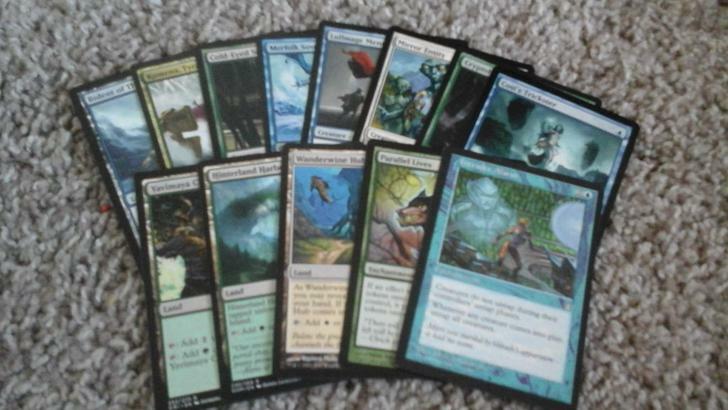 So I would be very happy with any additional copies of the lands from that set, but particularly a Morphic Pool. Alternatively, I'm also seeking to finish my collection of M25 filterlands: primarily, Twilight Mire and Flooded Grove, and less importantly, Rugged Prairie, Cascade Bluffs and Fetid Heath. 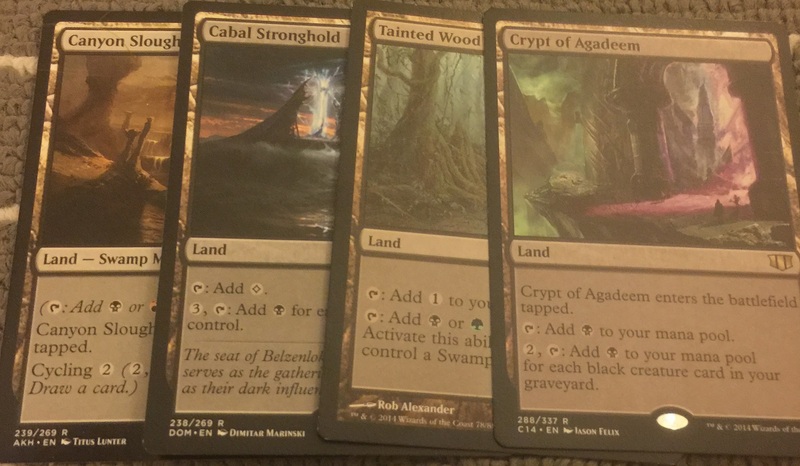 Please only the M25 versions of these lands, if that's OK (not the Lorwyn/Shadowmoor ones). 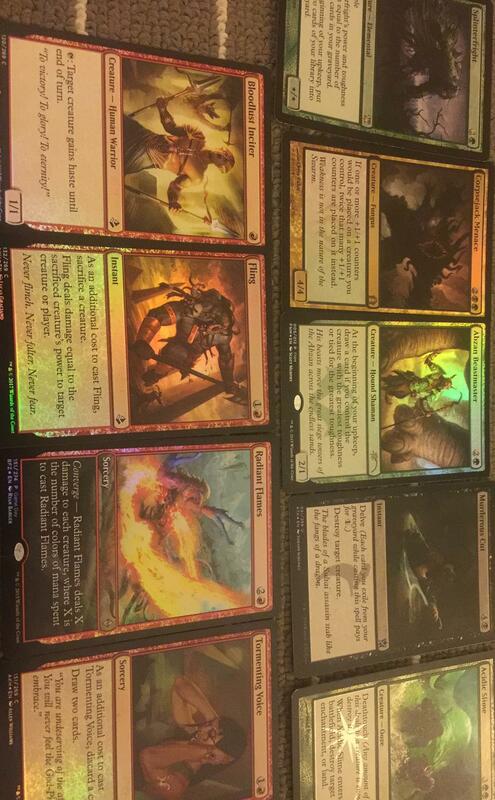 As well as these, I've a terrible weakness for cool foils and alternate arts of any and all varieties. 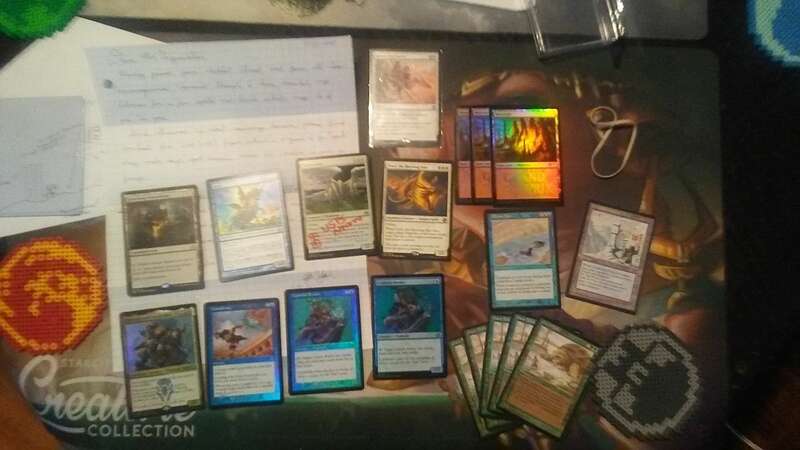 As such, basically any EDH-playable Masterpieces (including the Zendikar Expeditions, Kaladesh Inventions, and Amonkhet Invocations) are welcome, along with weird promos and foils of all kinds. 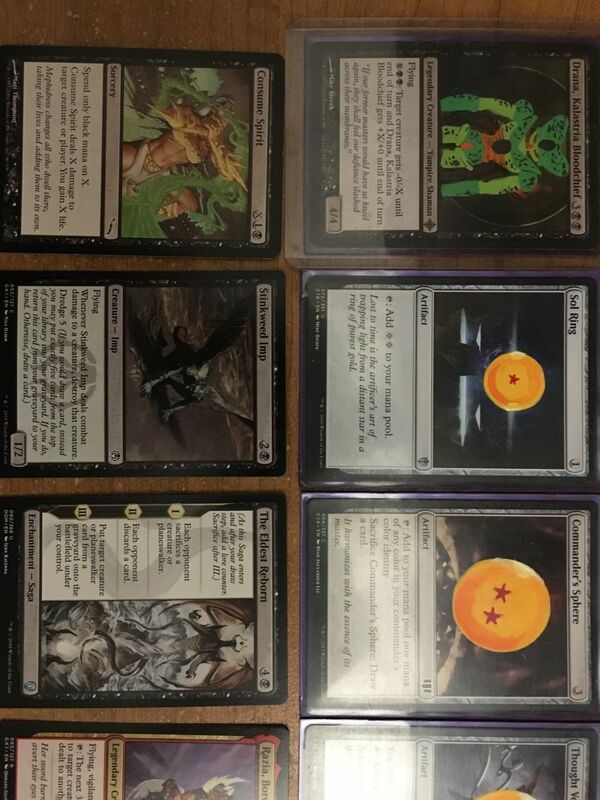 In the absence of any of the above, I've a long list of random individual cards I've been steadily trying to acquire, and anyone who can assist with these would have my undying gratitude. Some of them are expensive, others not, so feel free to spend as much or as little effort as you feel comfortable with. I've listed specific versions of each card where that's important. 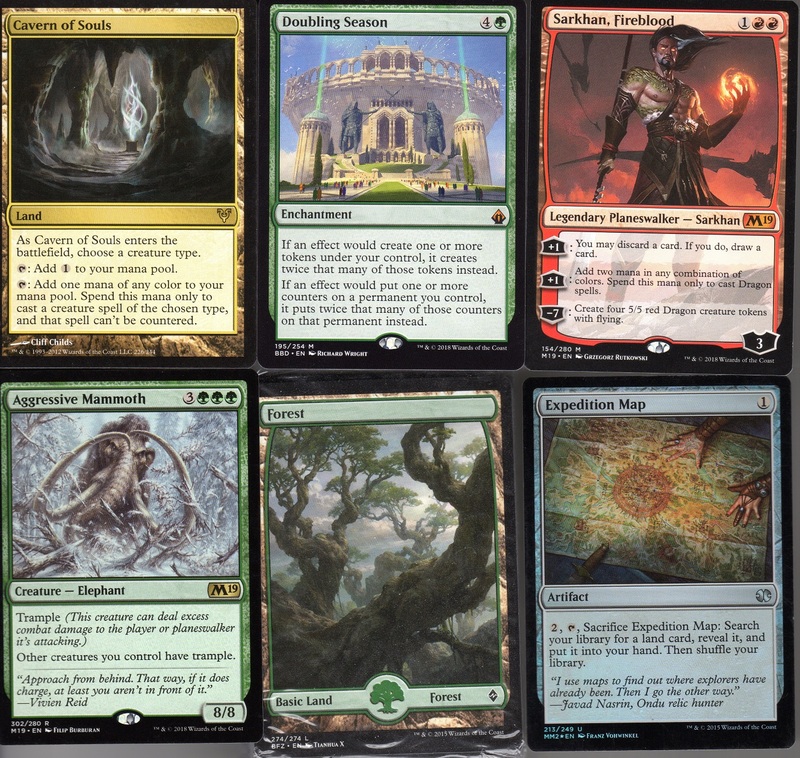 Below is the cube I'm looking to pimp out (pimp meaning sharpie alters, so anything here would be great), or any manafixing lands or other cards you think would be great in here. Last edited by St. Nic Bolas on 2019-Jan-03 5:41 am, edited 33 times in total. It's time to divvy donations with the prize winning vote to end the Grixmas Season. 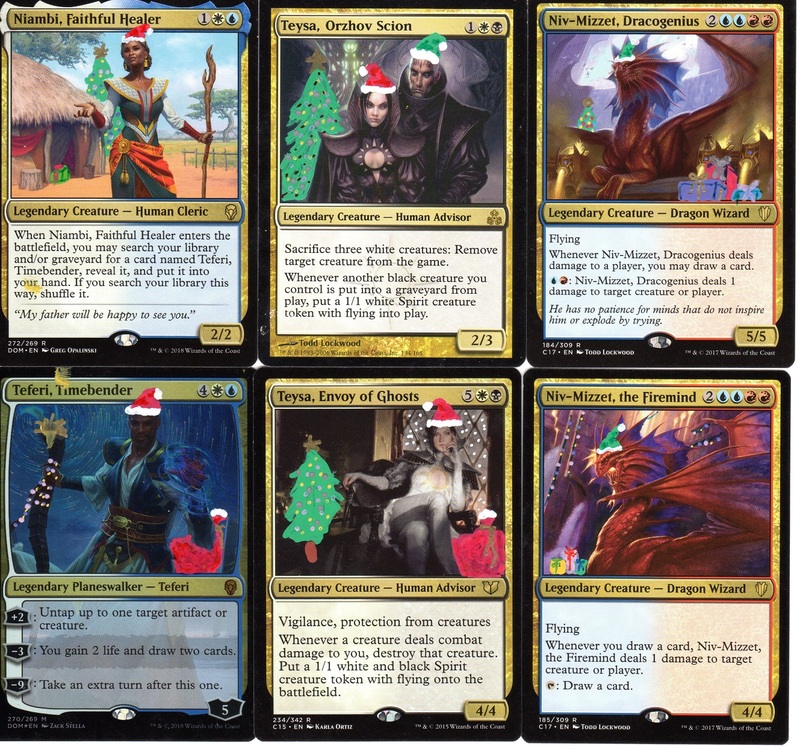 In true Grixmas fashion, you can base your votes on whatever criteria you wish. However, you may not vote for yourself or the gift you received. I will tally all the votes received by Midnight 12 Jan 2019, post scores and PM the winners. We have a tie for third place. Here is the current donation tally and breakout for prizes in the season ending vote. 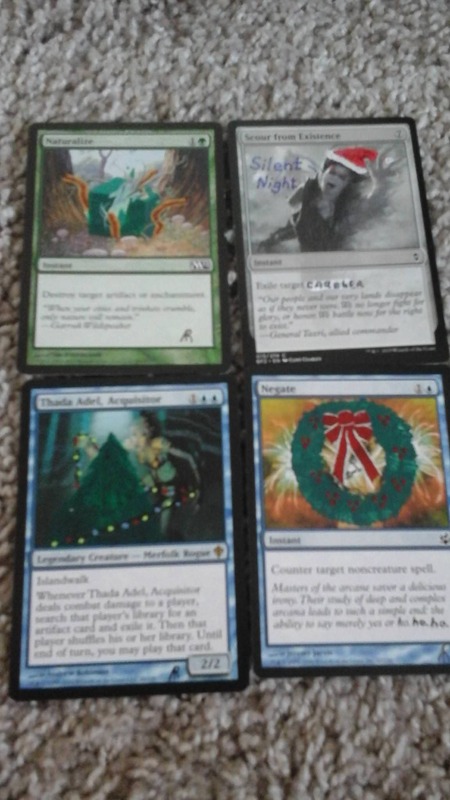 Additionally, Mr. Proctor has graciously offered to do personalized alters for first and second place. 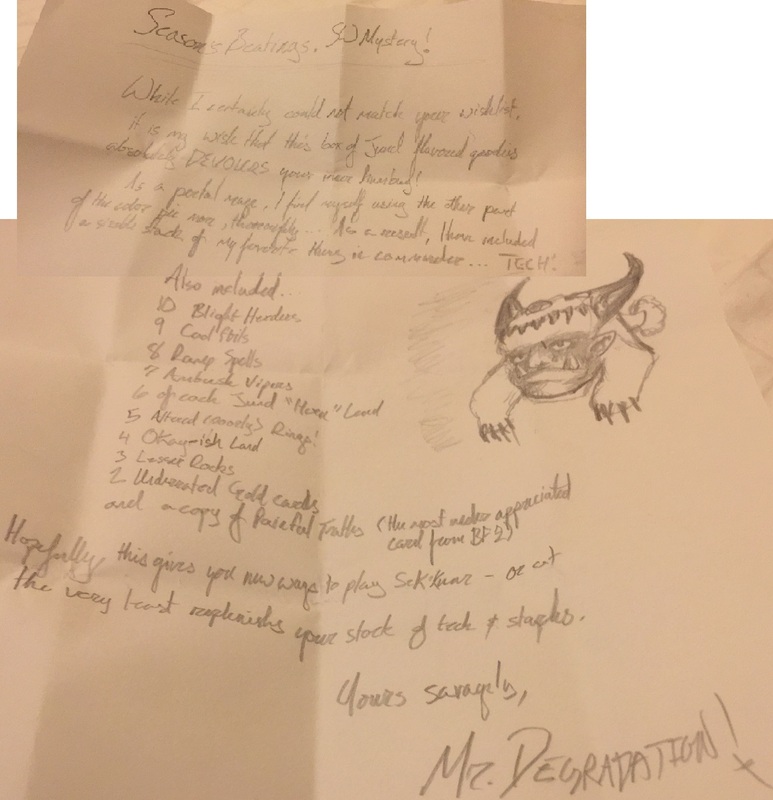 They will each get one mystery card (chosen by Tim based on your "Demands" and what you actually received). 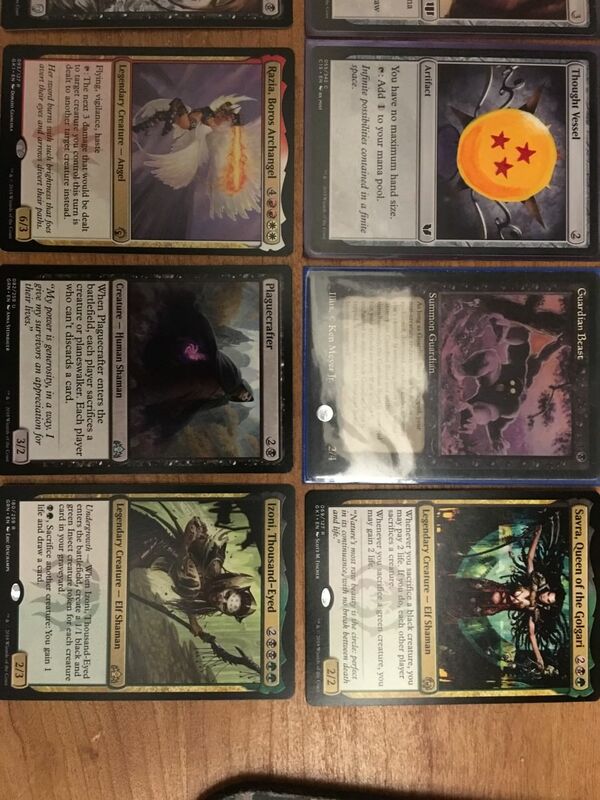 He will also alter Two of the prize cards chosen by the winner and one of the prize cards chosen by the runner-up (hence more unaltered items in the prize line-up). Winner also gets first pick of one of the following "Duo"s, runner up gets second choice. Winner gets first choice of each category. Runner up gets second choice, and Gutter winner gets the dregs. Grab bag is split between all three winners. Last edited by St. Nic Bolas on 2019-Jan-13 10:01 pm, edited 11 times in total. 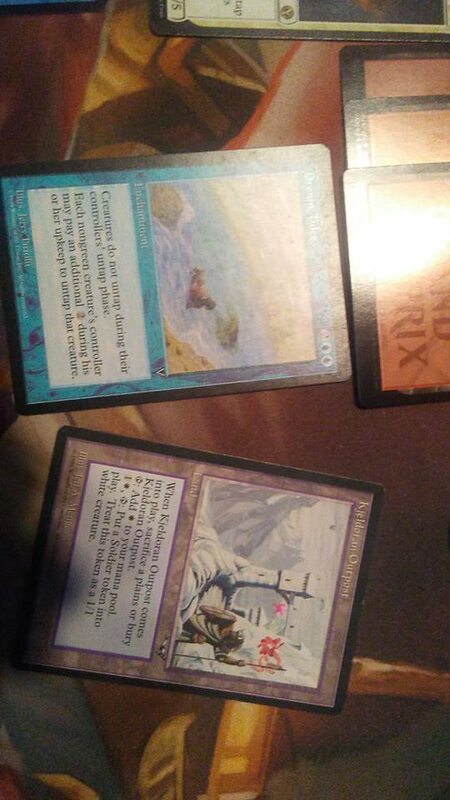 Unfortunately I still haven’t learnd how to professionally alter cards, although that was my ambition for the past two years. 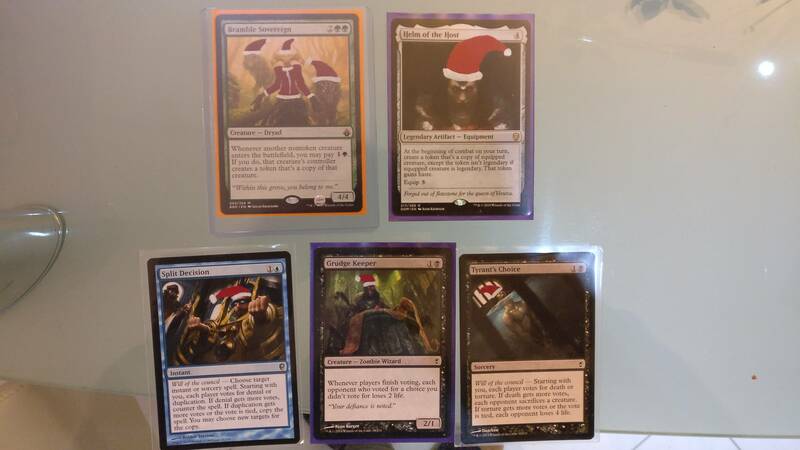 Not that I have the talent for a real alter, but painting a grixmas hat is a skill that would make me happy. The stretch goal is expanding art with merry. One question, could you explain a bit more about the donations? Why the one dollar limitation? I just came across something pretty dumb: I wrote Dauthi Slayer where I meant Dauthi Cutthroat. Not that the Slayer isn't a nice card, but it doesn't resemble an assassin. I found the error because I encountered a foil Dauthi Slayer, which I didn't know it existed. 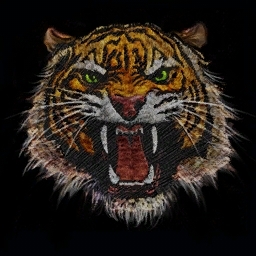 Last edited by Shabbaman on 2018-Nov-02 2:09 am, edited 8 times in total. BLUF: It's a recommendation, not a hard-fast limitation. Last edited by spacemonaut on 2018-Oct-26 8:07 am, edited 8 times in total. Requests... 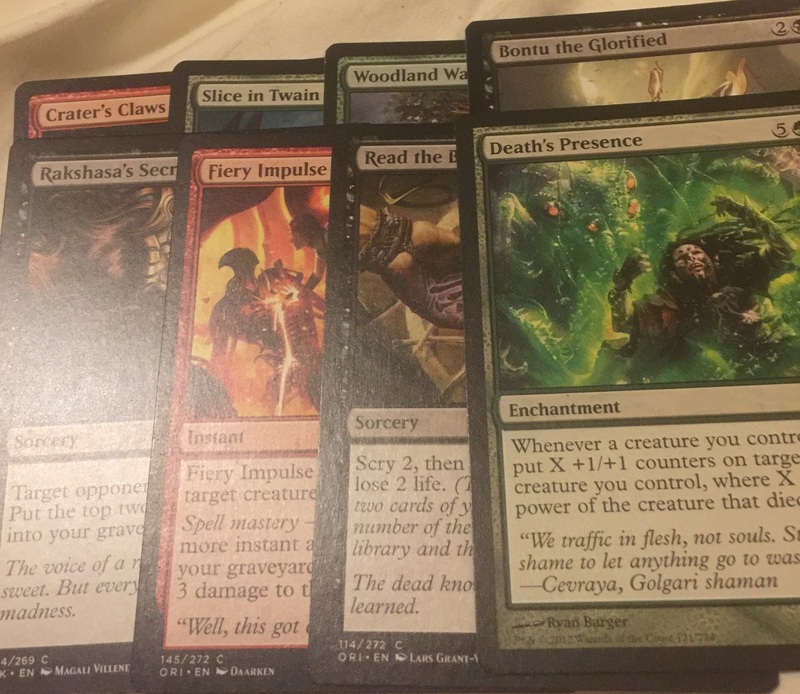 I didn't get to pick up much Battlebond, so neat stuff from that set would be appreciated. Ditto for M19 - I hated M19 limited so much that I stopped drafting for the season. If someone's feeling ambitious, I'd love to get a Drana, Kalastria Bloodchief altered to have Imperfect Cell on it (Because I drink people). EDIT: Photos of my Grixmas gift! I am most certainly in, and I will update this post with my wants once I have a list in mind. 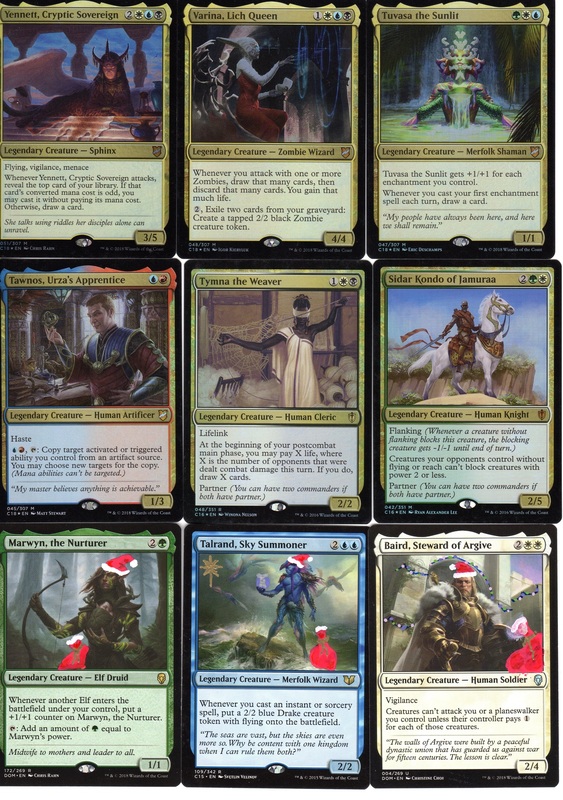 Merry Grixmas, everyone! Thank you one and all, and have a merry Grixmas. Last edited by Swmystery on 2018-Dec-30 6:12 am, edited 7 times in total. Last edited by Inkeyes22 on 2018-Sep-26 2:03 am, edited 2 times in total. ... is that because you drink people too? Just something novel for my Ephara deck (can just be a card that the individual thinks would be a cool addition- doesn't necessarily have to be a Yosei, or an engine piece.) Preference to it not being a counterspell or wrath-effect, simply because I have to be keep those slots brutally efficient- and overloading on them makes the build fall apart. I am making a few new decks right now, will send in requests soon. 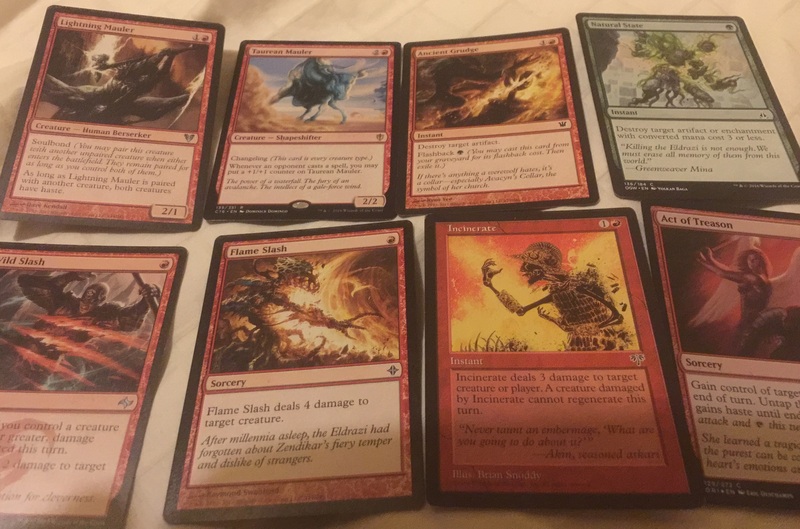 Dragon deck is still humming - I have a few alters but would really enjoy a Zirilan of the Claw alter Grixmas themed or not. Odric agro deck - anything, nothing blinged yet. Last edited by MRHblue on 2018-Oct-28 2:12 pm, edited 1 time in total. I'm on a diet and can't drink people. They're too high calorie. I can drink all the tears I want though. Hopefully St Nic is proud of me. I am in, oh great terrible one. This year I will be okay. Edited: to add Sower of Discord to the list. Last edited by Tim Proctor on 2018-Oct-28 2:28 am, edited 3 times in total.